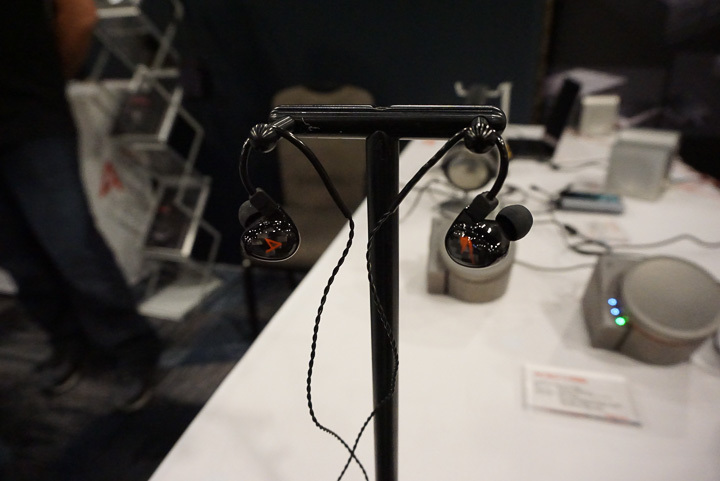 What follows is Part 2 in a four-part series of snapshot-style reports on new (or at least new-ish) personal audio products seen at CanJam RMAF 2017. 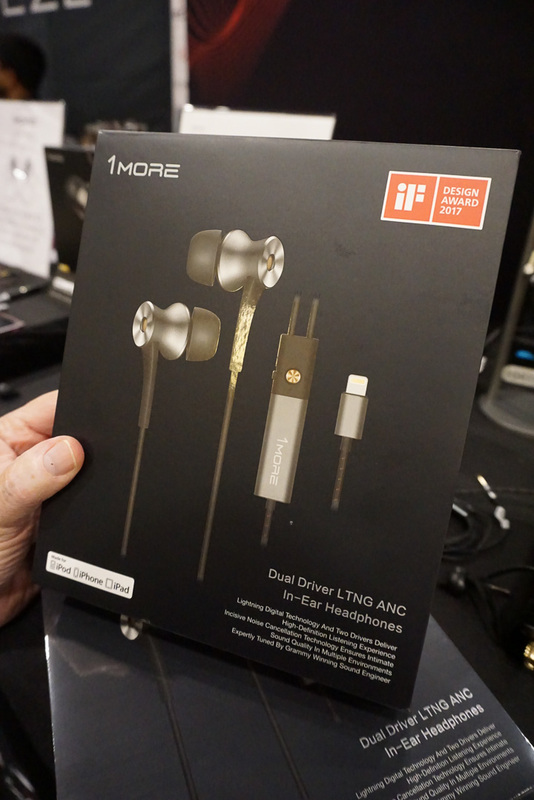 1More has been on a roll of late and for CanJam RMAF 2017 their big new product reveal involved an all-new Dual-Driver, Lightning-compatible automatic noise cancelling earphone that will sell for $149.99. Unlike many ANC-type products, the 1More is all about preserving sound quality while still offering meaningful levels of noise cancellation. Accordingly, the new headphone provides ANC function on a separately grounded cable independent of audio signal lines and uses what 1More terms ‘gentle ANC’ to preserve sound quality and eliminate some of the more audible and undesirable side-effects of noise cancellation as implement in other earphones. The E10 is AR’s flagship earphone and as such it is powered by the hybrid combination of a single balanced armature-type driver, plus a Beryllium dynamic driver. The earphone comes with a 3.5mm signal cable fitted with 2-pin connectors on the earphone end, a BT cable, and a balanced cable fitted with the impressive new Sony-developed Pentaconn connector. The price: $249.99. 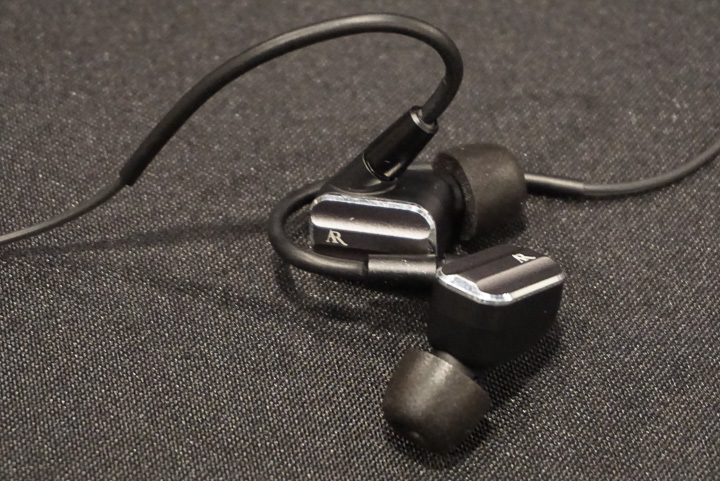 AR’s E100 earphone could be seen as a ‘junior’ version of the firm’s flagship E10 earphone, but one that features a single Beryllium dynamic driver. 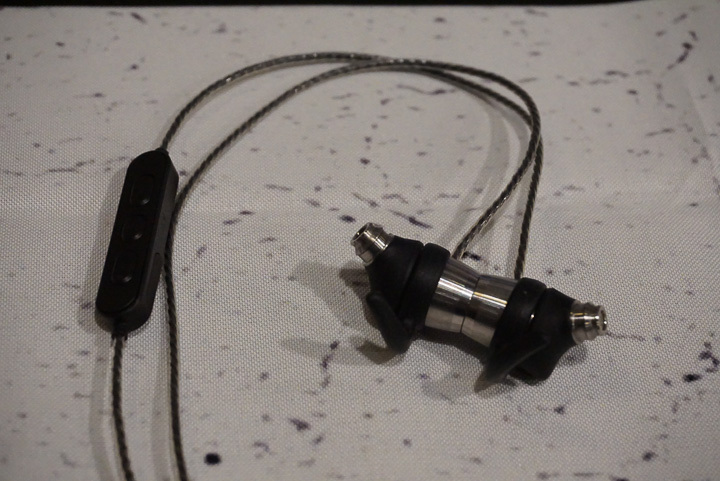 The E100 ships with a 3.5mm signal cable fitted with 2-pin connectors on the earphone end, plus a Bluetooth cable, and sells for $149.99. 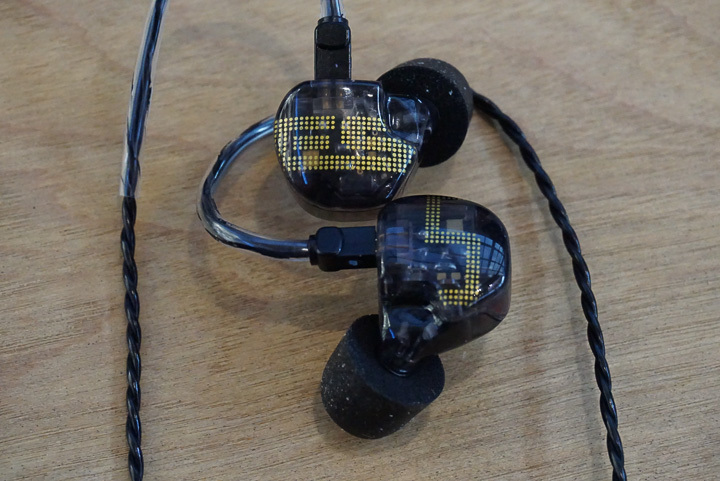 As many Hi-Fi+ readers may already know, Campfire Audio is both a spin-off from and sister to the Oregon-based brand ALO (Analogue Line Out) Audio, where Campfire’s sole focus is on manufacturing extremely high quality universal-fit earphones. Debuting at CanJam RMAF 2017 was a new mid-priced offering from the firm called the Polaris, priced at $599. The Polaris uses the hybrid combination of a dynamic mid-bass driver and two balanced armature-type midrange/tweeter drivers. Like almost all Campfire designs, the Polaris features machined aluminium earpiece enclosures; in the Polaris, the main enclosure is treated to a bright blue anodised finish while the outer caps or lids are finished in Cerakote black. The dynamic driver portion of the enclosure uses what Campfire calls a ‘Polarity Tuned Chamber’, while the balanced armature drivers use a so-called ‘Tuned Acoustic Expansion Chamber.” The earpieces are fitted with beryllium copper MMCX jacks, while the earphones feature 3D-printed sound outlet ‘spouts’ sporting dual sound outlet ports. Finally, the Polaris earphones come with high quality Litz wire signal cables terminated with MMCX connectors on the earphone end and a 3.5mm plug on the source end. A high quality case and an excellent and versatile set of accessories and ear tips are included. Astell&Kern’s new Michelle Ltd. is a universal-fit earphone co-developed with Jerry Harvey Audio and that essentially provides an updated and cost-reduced version of the Michelle earphone. The Michelle Ltd. is based on three balanced armature-type drivers (one low-frequency, one midrange, and one high-frequency driver) and will sell for $399. Beyerdynamics’ new Xelento Wireless earphone is a variation on the firm’s superb Xelento passive earphones, which use the firm’s signature Tesla-type driver technology, but in this instance one that comes both with passive MMCX-type signal cables and with a high-quality AAC, aptX, aptX HD, and SBC-compatible Bluetooth module complete with 3-button universal remote control. Users enjoy all the benefits of a true top-tier passive earphone, but with the add-on capabilities only a high-quality Bluetooth module can provide. The Xelento Wireless should arrive in December of this year and will sell for $1199. 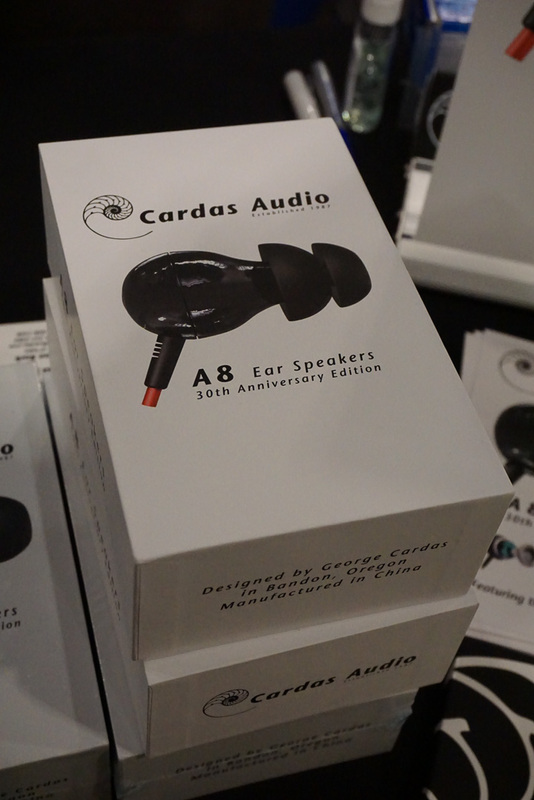 We have covered the advent of Cardas’ new 40th anniversary version of the A8 earphone in past show reports, but are pleased to report that it is now fully released and shipping. The price of the 40th anniversary A8 is $349. 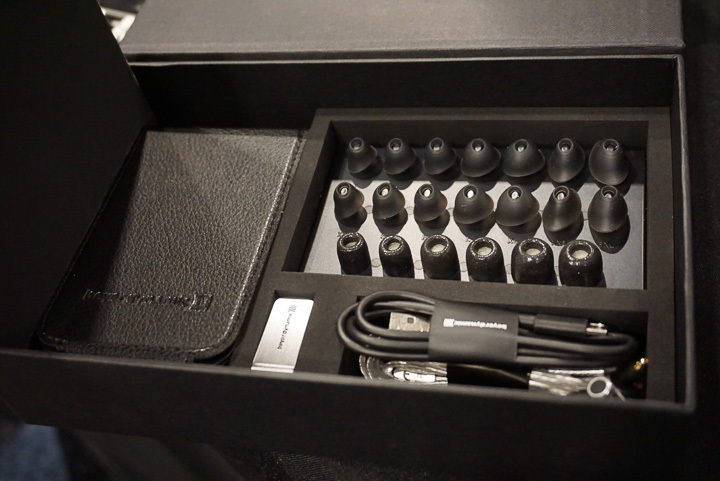 The French firm EarSonics demonstrated its newest model, which is the upper mid-tier ES5 universal-fit earphone, which is based on five balanced armature-type drivers (one bass driver, two midrange drivers, and two high frequency drivers). Based on a brief listen, our perception was that the ES5 offers a very subtly ‘V-shaped” frequency response curve with solid bass, ample mid-to-high frequency response, and very gently recessed or ‘scooped’ lower mids. The price of the ES5 is $1,099. 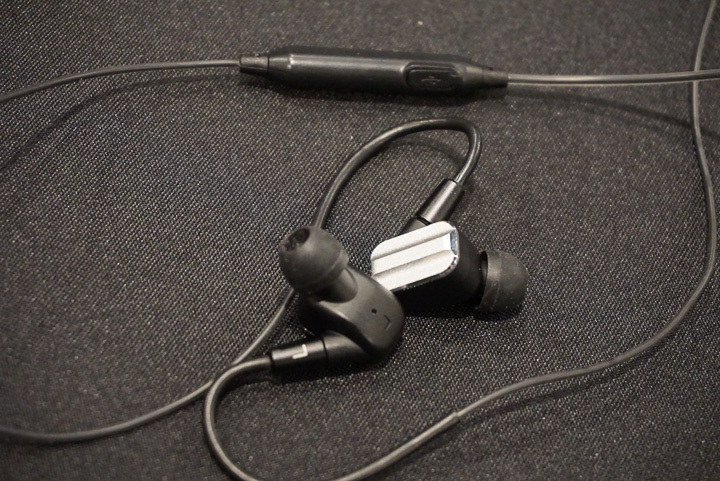 Echobox Audio preview an upcoming Bluetooth earphone that is based on the firm’s new Traveler earphone, but now given an expanded role via an included Bluetooth module. 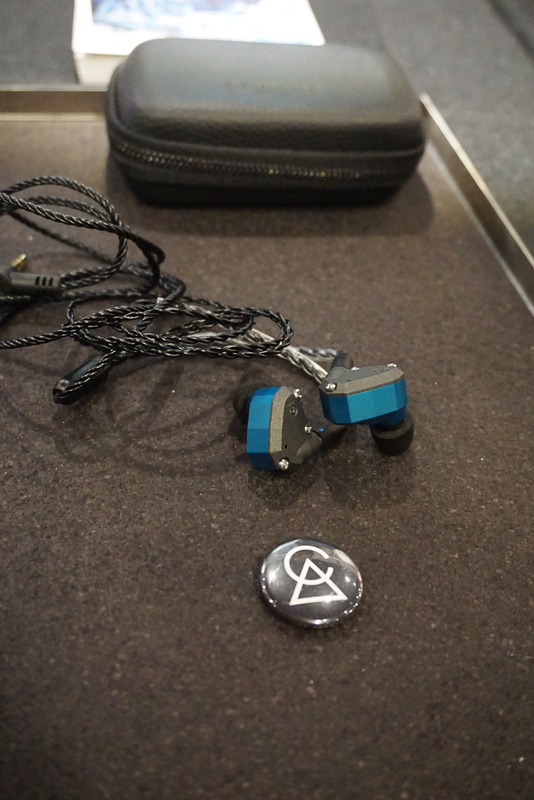 The Traveler features Titanium earpieces and a dynamic driver fitted with a PEEK (Polyether Ether Ketone) diaphragm—a material used in several other Echobox earphones and in the upcoming Vanguard headphone. The working title for the new Bluetooth model is the T1 22 BT, which is projected to sell for $129.